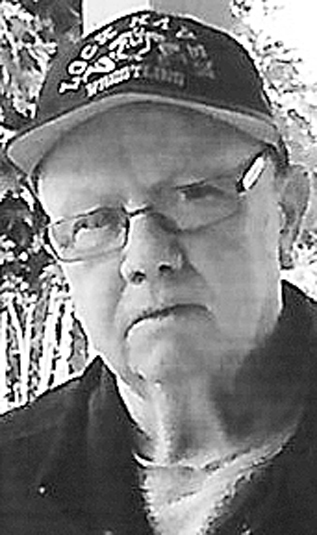 Charles “Pat” Seybold, 75, of Woolrich, passed away Thursday, March 7, 2019 at UPMC-Haven Skilled Rehabilitation and Nursing. Born March 17, 1943 in Lock Haven, he was the son of the late Scott and Ida Pearl Poorman Seybold. Pat was a 1961 graduate of Lock Haven High School. He married his best friend and soul mate, the former Janet Crowley, on Nov. 8, 1968. Pat worked at Woolrich before starting his own business, Pat’s Laundry and Dry Cleaning. After retiring, he worked part time at Clinton County Auto Auction. He loved hunting, fishing, camping and running beagles. Most of all, though, he loved following his grandson’s BMX racing as well as playing football, wrestling and running track at Warrior Run High School. Pat was an avid Lock Haven High School and Lock Haven University wrestling fan, and was even inducted into the Lock Haven University Hall of Fame. Surviving is his wife of 50 years, Janet Seybold; his son, Shane (Judy) Seybold, of Allenwood; his grandson, Airman Forrest Seybold stationed at Beale AFB; a brother, Michael (Sharon) Seybold; a sister, Mary (Dusty) Conklin; nieces Cicily (Art) Nonemaker, Christa (Mark Marek) Conklin and Jena Lucas; and great-nieces and nephews Riley, Luke, Eliza, Maja and D. Michael. Along with his parents, he was preceded in death by a nephew, Michael Seybold and brother-in-law, Thomas Conklin. A Memorial Service will be held Friday, March 15, 2019 at 5 p.m. at the Donald G. Walker Funeral Home, Inc., 231 High St., Flemington with Mr. Bob Mann officiating. Friends and family will be received at the funeral home on Friday from 4 p.m. until the time of the service. Memorial contributions in Pat’s name may be made to either Lock Haven University Wrestling or the Clinton County S.P.C.A. through the funeral home.